According to legend, the Otterman is known for its cruelty and sinister nature which is considered both malicious and evil. 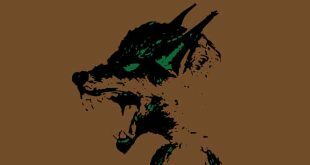 What if I told you there’s an ancient Indian legend of a shape shifting cryptid living in the lakes, rivers and ponds of South-eastern Alaska – would you believe it? Now, what if I then told you that creature oddly resembled a cross between an otter and a man – you still with me? 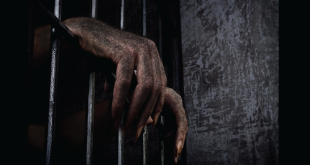 Right now, you might be saying “no!” but it’s not really any different than believing a person can shape shift into a werewolf; if you allow for one then you might consider allowing for other possibilities. One such possibility is what the Tlingit Indians (“People of the Tides”) of Southeast Alaska call the Kushtaka, meaning ‘land otter man’ in their native language. The Otterman is a shape shifter generally described as between six to eight feet in height and covered in sleek dark brown or black fur. 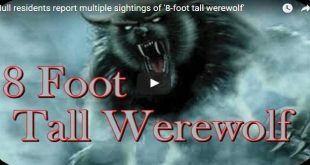 Some accounts of the creature say it has glowing eyes, talons on its fingers, a mouth full of razor sharp death, walks on human feet and sports a long tail. Other descriptions liken it more to the Sasquatch, the most famous cryptid in the state of Alaska. In fact, the Otterman is commonly referred to as Alaska’s Other Bigfoot. It should be mentioned that one notable difference between this shape shifter and that of a, say, werewolf, is that when the Otterman is in a human form, it can be spotted because its teeth never change. Other descriptions liken the Otterman more to the Sasquatch, the most famous cryptid in the state of Alaska. In fact, the Otterman is commonly referred to as Alaska’s Other Bigfoot. The Tlingit are very wary of the creature and are overly cautious, if not paranoid, of venturing into its territory. According to legend, the Otterman is known for its cruelty and sinister nature which is considered both malicious and evil. The Otterman is a supernaturally fast creature with great endurance and agility in the water, much like the otter. Known to be as clever as a human, it has the ability to mimic human sounds, particularly the crying of a human baby or the screams of a woman. These sounds lure unsuspecting victims to the water line where the creature attacks, tearing its victims to pieces with its claws and teeth. However, very similar to a werewolf bite, the Otterman may decide not to kill its victim but rather turn them into another Otterman. 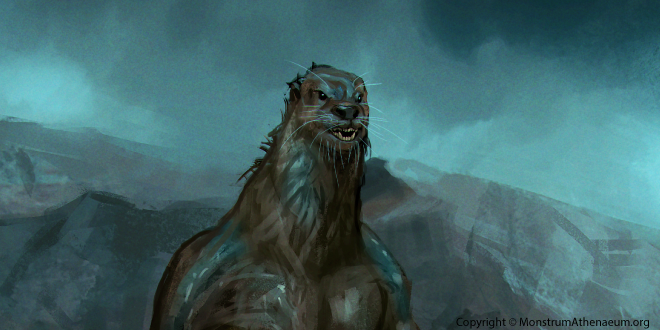 Taking a page from Greek mythology, the Otterman occasionally feasts upon unfortunate sailors, luring them away from the shoreline before attacking so there’s no chance of escape. Whether or not the Tlingit keep their children in line by telling them scary bedtime stories of the Otterman, the legend maintains the favorite prey of the creature is children; taking advantage of their natural curiosity. Similar to other Sasquatch stories, the Otterman is also known to abduct young children to turn into another Otterman. While the legend of the Otterman is generally filled with terror; not all the Otterman creatures are said to be cruel and evil. Sometimes, these creatures can be benevolent and, for example, have been known to save a person from drowning. A bit of an illusionist, they’ve also been known to aid travelers lost in their territory by appearing as their family and luring them to safety. Whether this indicates the creature has some kind of telepathic ability to see the forms of a person’s family and mimic them is left unsure but it’s fascinating to consider the possibilities if true. Is the Otterman giving you second thoughts about that back country getaway you’ve planned in Alaska? Don’t worry, it’s not all that bad, the creature does have weaknesses. 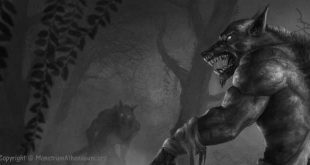 Werewolves are susceptible to silver, vampires to sunlight, zombies to hallow points and the Otterman to – dogs! 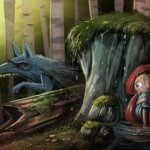 The creature is absolutely terrified of dogs and will show its true form when cornered by a barking dog. Dog bone daggers are a particularly effective weapon against the creature but only when coming from the body of a dog that has died a natural death. Some stories say they’re afraid of fire while others mention a fear of copper, so a copper blade is another favored weapon (in case you don’t have a dog bone dagger handy). The magic of the shaman is also able to fend off the creature, though their numbers today are scarce. Well-documented cases are few but in 1900, one Harry Colp and three companions were exploring the Patterson Glacier north of Thomas Bay. The place was known as the Bay of Evil locally after a landslide killed five hundred villagers there and the tragedy was suspected to be the work of the Otterman. Colp was out hunting for quartz when he encountered a group of creatures he described as neither ‘men nor monkeys’ and covered with hair. They tried to grab him but he acted quickly and fired his rifle at them. After throwing his empty rifle at them, he fled in terror and upon reaching camp left on the first boat and never returned. What do you think? Is there a half man, half otter creature roaming the wilds of Alaska? Previous Did These Videos Capture Rare Sasquatch Encounters Or An Elaborate Hoax?